This 123,864 square foot building was originally constructed in the late-1980s by a multinational chip manufacturer for R&D space. 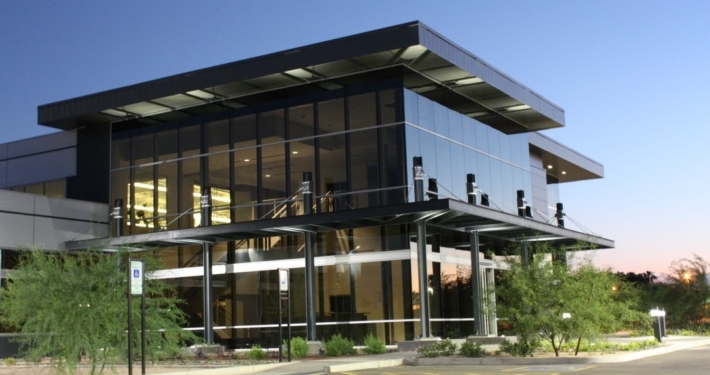 In 2013, ViaWest Group, along with joint venture partner Blue Vista Capital, purchased the building for $3 million from NXP Semiconductor, the Dutch-based company spun off from Phillips, the original owner. During a one-year lease back from NXP, ViaWest led a $9 million renovation of the building, which included a complete transformation and reimagining of the landscaping, the parking, the building façade, entrances, lobbies and tenant spaces. Subsequent to the renovation, two different divisions of Amazon, including their first large-scale network operations center, leased the entire building. On a total capitalization of under $13 million, the joint venture sold the property in 2017 for $27.6 million to a national single-tenant-focused investment group.